Q 7 :What&rsquo;s your guarantee or the warranty of the quality if we buy your machines9 A 7 :We offer you high quality machines with 1 year guarantee . we will give u spare part free in 1 year Q 8 :When can I get my machine after I paid9 A 8 :We will deliver the machines on time as the date we agreed both side. Q 9 :How can I install my machine when it arrives9 A 9 :We will send our engineer to your side as soon as you get all your machines ready , for testing and teaching your technicians how to run the machines. 3 YRS Zhangjiagang City Bestway Machinery Co., Ltd.
Our Machine Photo Q: Are you trading company or manufacturer 9 A: We are factory. Q: How long is your delivery time9 A: Generally it is 30-40 days if the goods are in stock. Q: What is your terms of payment 9 A: Payment&lt;=1000USD, 100% in advance. ,Ltd, supply the whole set of beverage production line such as water treatment system, beverage pre-treatment system, and fillimg system etc. 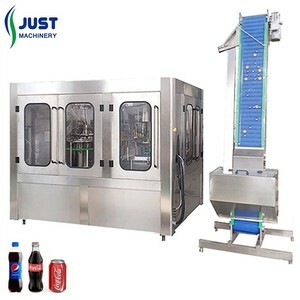 Combining manufactures bottled beverages, such as water, tea, juice, dairy beverage, carbonated drinks, beer, wine and other drinks filling and packaging macinery. The entire line can be separated to sell, such as Water treatment Plant, Labeling & Packing Machines, Bottle Production Line, Filling Machines and so on. 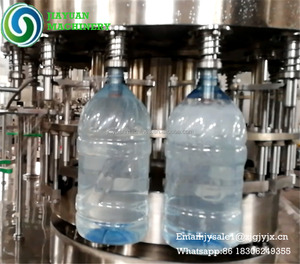 5L botlle water filling machine The 5L bottle water filling machine is used for mineral water, pure water, drinking water filling and packing in 3-5L PET bottle. New Crown Machinery, located in Zhangjiagang City, China, plans, develops and manufactures machines and complete lines for the fields of process, filling and packaging technology. Once your machines broken or doesn't work within 2 years and you can't solve it, firstly, we will try to help you to find problems from your words description by phone or other communication tolls. 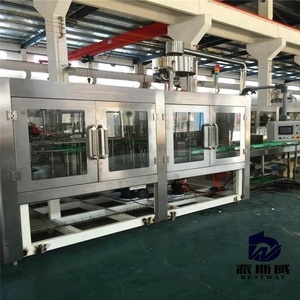 This paste filling machine can work in the inflammable and explosive environment. It is the ideal filling equipment of pharmaceutical, chemical, food, cosmetics and other industries. Q6 : What is the guarantee and service of machine 9 A : One year free warranty, life-long maintenance. In the special rinsing area, the nozzle on the gripper sprays water to rinse bottle inwall. Then rinsed bottle is transferred to the filling part through poking bottle star-wheel. The bottle that enters into the filler is hold by neck holding plate. 11 YRS Shanghai Jiacheng Packaging Machinery Manufacturing Co., Ltd. Filling nozzles Mechanical components - high quality, made of non-toxic corrosion 316 stainless steel and PTFE hoses. Cylinders of machine Control system - with Mitsubishi PLC control system, filling dose fine-tuning r andom ly. Environmentally friendly configuration - configuration of the environmental framework in which the machine's operating environment more hygienic. Y B-Y2 automatic essential oil bottle Vial Filling Plugging and Capping Machine automatic bottle Vial Filling Plugging and Capping Machine Function: bottle filling, capping and labeling 1. 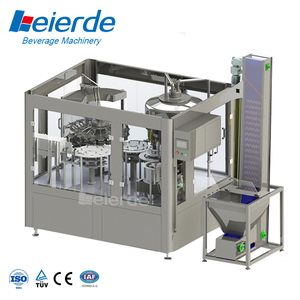 This machine is special purpose for liquid filling, capping, and vertical labeling. 2. It&rsquo;s fit for all kinds of bottles of materials and shapes, such as round and flat bottles; 3. PLC control system, color touch screen , easy operation; 4. 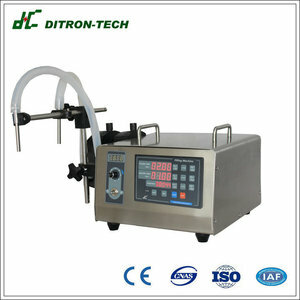 This machine use stainless peristaltic pump for dosing and pneumatic screw capping; 5. Has advantages of accurate measurement, stable performance and easy operation Characteristic: 1. The whole machine is designed according to the requirements of GMP. 2. 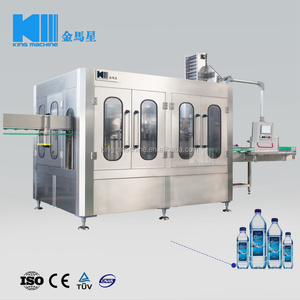 Direct viewing operation, no bottle no filling function, measuring accurate, and no bottle no capping function. 1 YRS Shanghai Shengzhuang Intelligent Technology Co., Ltd.
1 YRS Zhangjiagang J&D Packing Machinery Co., Ltd. 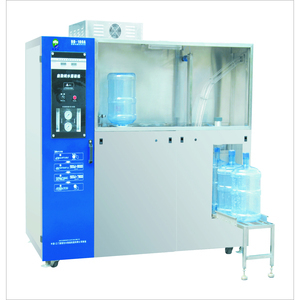 This series machine can be also used for the filling purified and mineral water. Nozzle is in the clip can guarantee the complete wash of the interior of the bottle. The good electrical parts are the guarantee for the good quality for our machines. 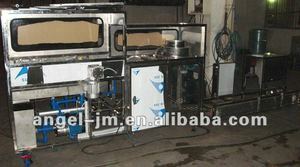 Alibaba.com offers 186 botlling machine products. About 44% of these are filling machines, 4% are other packaging machines, and 1% are plastic extruders. A wide variety of botlling machine options are available to you, such as food, textiles. You can also choose from cartons, pouch, and case. As well as from free samples. There are 186 botlling machine suppliers, mainly located in Asia. The top supplying country is China (Mainland), which supply 100% of botlling machine respectively. 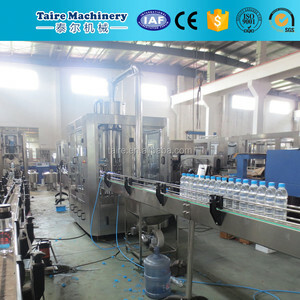 Botlling machine products are most popular in Africa, Southeast Asia, and Domestic Market. You can ensure product safety by selecting from certified suppliers, including 84 with ISO9001, 11 with Other certification.